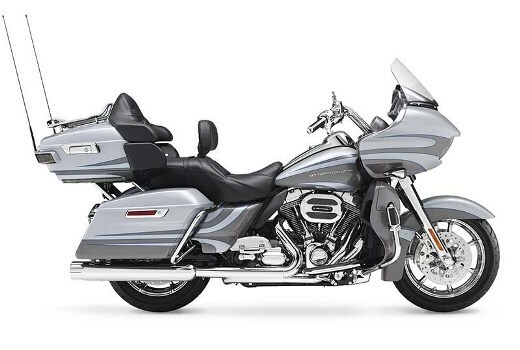 “We designed the new Road Glide Ultra for pilots and passengers (25 mm wider and 25 mm longer seat, Editor’s note) who practice Touring all year intensively. We have given particular attention to aerodynamic performance and the position of the rider and which shall adapt to the largest number of templates”. These are the first words of Harley Davidson Development Director, Paul James, about the new Road Glide Ultra. To achieve these ends, Harley engineers and technicians have – according to the press record – used computational fluid mechanics, benefited from hundreds of hours of development in a wind tunnel and made ​​thousands of kilometers of road tests. In series, the 2016 Harley-Davidson Road Glide Ultra receives the optical Dual Daymaker™ Reflector LED, positioned handlebars 48 mm higher than on the Road Glide Special and all the innovations and technological improvements of Rushmore project including the 49 mm wide fork, Reflex brakes coupled with ABS, the finer mudguards, lighter aluminum wheels, the instruments enhanced graphics as the most ergonomic handlebar. Custom colors: Purple Fire/Blackberry Smoke, Cosmic Blue Pearl. Regarding its marketing costs, it will take to pay the sum of €27,850 (from …).